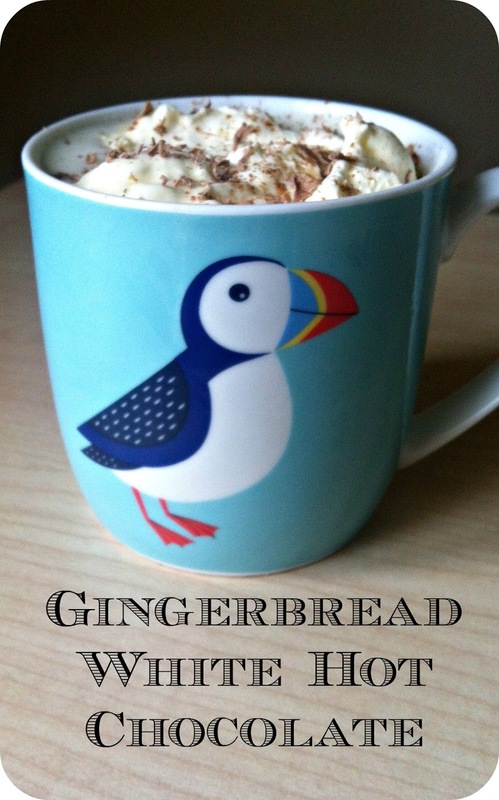 After pinning for my Winter Wishlist, I just had this idea to make a gingerbread white hot chocolate. There are definitely some recipes out there but I winged this one and it turned out to be pretty tasty! And easy to make. 1. Using the cup you're going to drink from, measure out the milk to 2/3 full. You don't want it to be much more than that as when you add the white chocolate, the volume will increase and you also want room for whipped cream and/or marshmallows! Add to saucepan and heat (but don't bring to boil). 2. I added a teaspoon of light brown sugar. Now, a dark brown sugar or even molasses would probably be more suitable for a gingerbread flavour but I used what I had on hand. I had a sprinkle of cinnamon and ginger, I don't include measurements because for one cup, it's going to be too small to really measure. Just add to taste! You can add nutmeg too, I didn't because I didn't have it on hand. If you don't like any of these spices, leave them out! You could have it as a white hot chocolate or if you do add them in, you could also add in a spoon of coffee to make it more a gingerbread latte. 3. Break up white chocolate and add to hot milk. I got a small 100g bar from Tesco, I used it all because I like sweet things but you can use less. 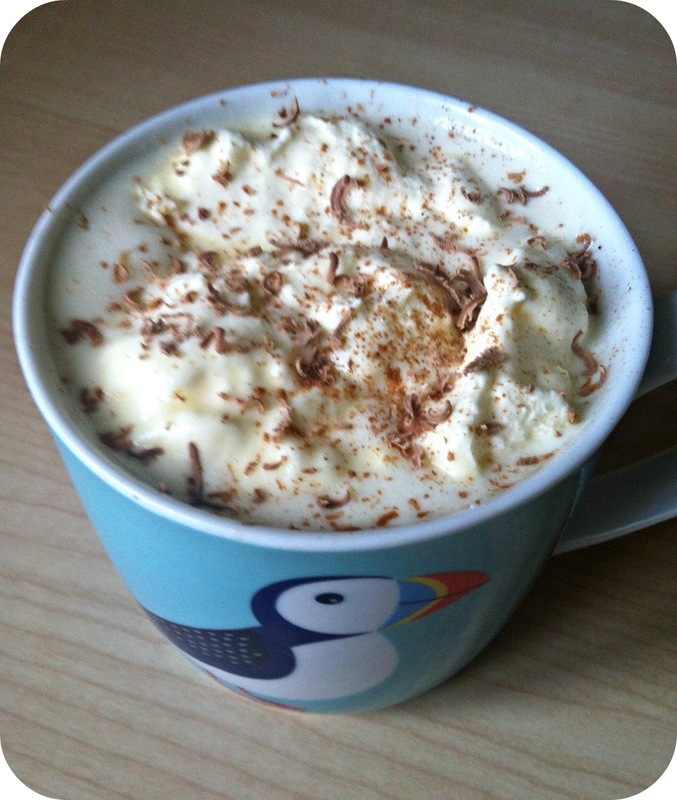 Or use a white hot chocolate powder if you want the taste but not the calories. Options do a white hot chocolate powder. 4. Whisk until chocolate is melted and then pour into mug. Add topping of choice (I add whipped cream) and dusted it with cinnamon and milk chocolate shavings.